Faculty for this month's ASC Master Class will include Academy Award winner Guillermo Navarro (Pan's Labyrinth), who will join fellow instructors John Bailey, Bill Bennett, Curtis Clark, Richard Crudo, Don McCuaig, Daryn Okada, Roberto Schaefer and Bill Taylor. 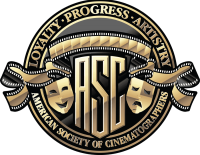 Navarro, Okada and Schaefer are all new additions to the ASC Master Class faculty. Navarro recently wrapped the feature London Fields. His credits include Pacific Rim, Twilight: Breaking Dawn, Night at the Museum and Jackie Brown. Okada recently shot the HDR test film Emma. His credits include the hit series Castle and the features Dolphin Tale 2, Let's Be Cops and Mean Girls. Schaefer recently wrapped the indie feature Miles Ahead. His credits include the HBO series Family Tree and the features Quantum of Solace, The Kite Runner and Monster's Ball. The Master Class will take place May 11-15 at the ASC Clubhouse and nearby facilities.